Humans are a fickle lot. You only have to look at how public opinion seems to swing wildly from day to day or the daily diet of fake news we either choose to believe or ignore as well as the ‘real news’, which again we seem to believe or discount on a whim. He expanded upon this sentiment in a notebook jotting regarding ‘The Four Stages of Public Opinion’. It’s hard to disagree with his analysis. The Novelty is absurd and subversive of Religion and Morality. The propounder both fool and knave. The Novelty is absolute Truth and will yield a full and satisfactory explanation of things in general. The Propounder man of sublime genius and perfect virtue. The Novelty won’t explain things in general after all and therefore is a wretched failure. The Propounder a very ordinary person advertised by a clique. The Novelty is a mixture of truth and error. Explains as much as could reasonably be expected. The propounder worthy of all honour in spite of his share of human frailties, as one who has added to the permanent positions of science. It’s worth noting that the Swiss palaeontologist Louis Agassiz (1807-1873) made a similar observation when he said, ‘Every great scientific truth goes through 3 stages. First people say it conflicts with the Bible; Next they say it had been discovered before; Lastly they say they always believed it’. Seems like nothing changes and people over 100 years ago were just as capricious as we are today! 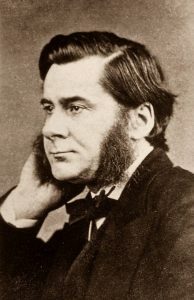 Thomas Henry Huxley, (born May 4, 1825—died June 29, 1895), English biologist, educator, and advocate of agnosticism (he coined the word). Huxley’s vigorous public support of Charles Darwin’s evolutionary naturalism earned him the nickname “Darwin’s bulldog,” while his organizational efforts, public lectures, and writing helped elevate the place of science in modern society.